After I went blackberry picking last week, I ended up bringing home so many blackberries that almost all of them got portioned and popped in the freezer to be used at a later date. I did however, keep some fresh in the fridge so I could snack on them. These guys weren't going to last much longer so I decided to whip something up with bits that I already had in my kitchen. 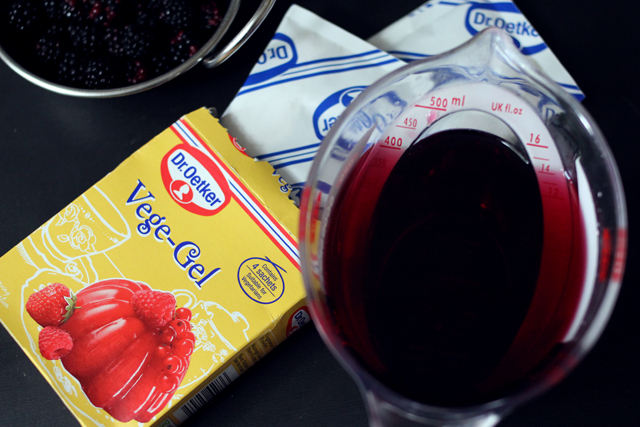 I'd bought some vegetarian gelatine a while ago and decided that this recipe would be perfect to experiment with it. 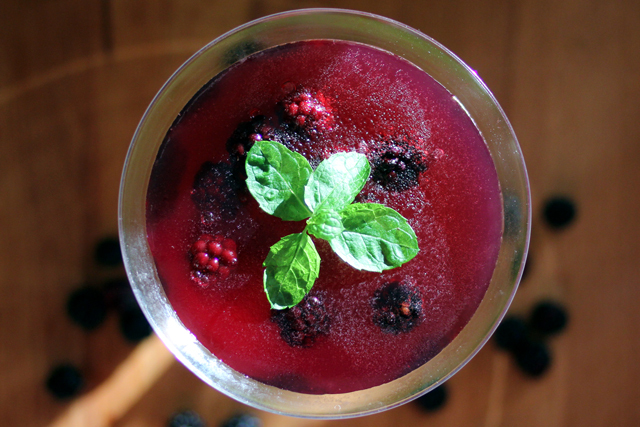 I've had vodka jelly shots before and seeing as I had some blackberry and elderflower flavoured Pimm's left over, I thought I'd give it more of an english country garden kind of feel/flavour and it would obviously work perfectly with my blackberries. 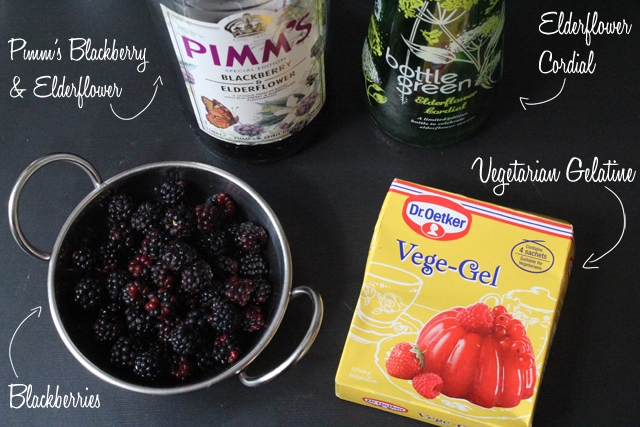 Pour the Pimm's and elderflower cordial into a measuring jug and then add water to make it up to 400ml. Pour the mixture into a small pan and then sprinkle the vegetarian gelatine into it and mix until completely dissolved. Two sachets make quite a dense jelly, so if you want a little bit more wobble, use a bit less! 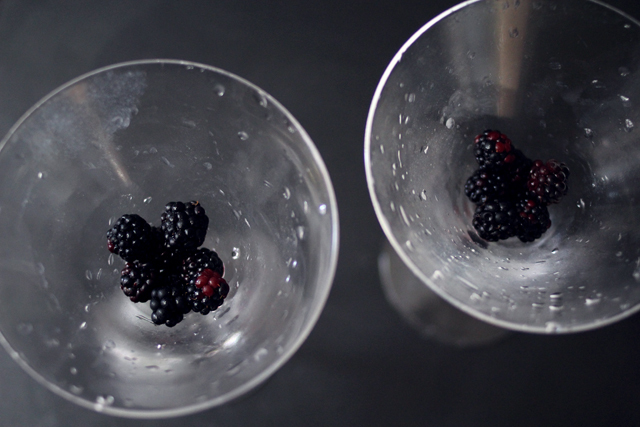 Place a few blackberries into the bottom of two martini glasses, making sure you save a few to add later on. Heat the pan over a medium to high heat and bring just to the boil. Pour straight into your martini glasses, being extra careful as it will be very hot. 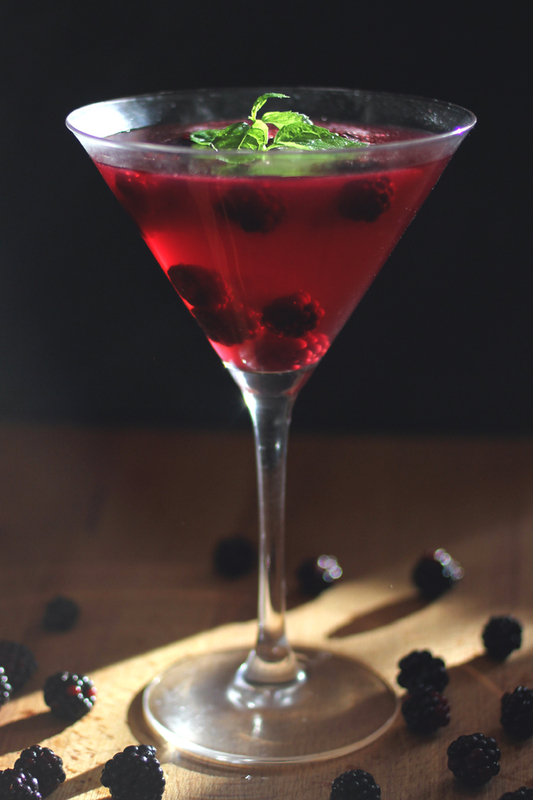 Gently drop the rest of your blackberries into each of the glasses and put straight into the fridge for about an hour. Once set, you can serve with a spring of mint as a garnish. I love how when the light shines through the jelly, the blackberries look almost like little alien life forms or weird sea creatures...or maybe my art degree has made me look into things a bit too much. 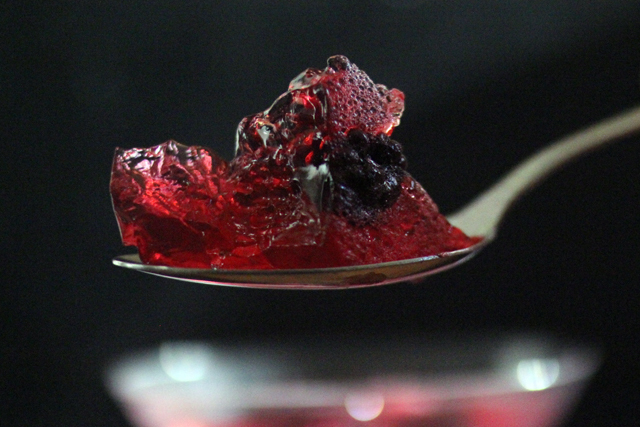 These little boozy jellies are a lovely taste of the end of summer and are a more grown-up twist on the vodka jelly shots of my student years. 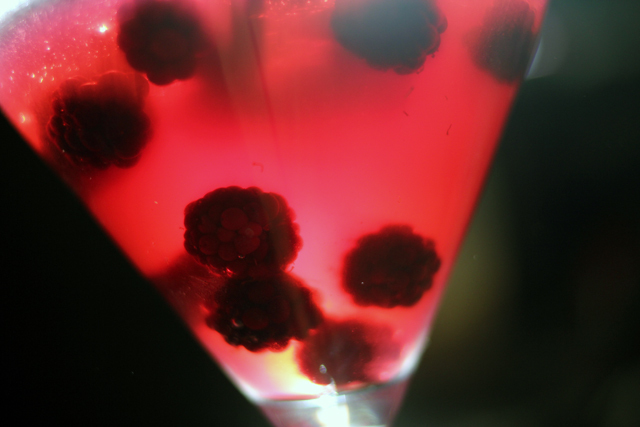 More blackberry recipes are on their way!